Kerb Stones are used for various outdoor requirements in the parks, lawns and other residential locations. Owing to the wide experience of this domain, we are instrumental in offering Kerb Stone Paver Block to our clients. 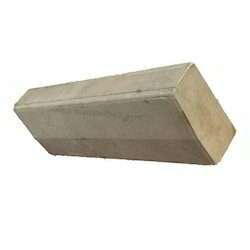 With our vast industrial experience, we are engaged in offering Kerb Stone Paver Block.. Backed by well-informed professionals, we are offering a wide range of Kerb Stone. Banking on the skills of our qualified team of professionals, we are instrumental in offering supreme quality range of Kerb Stone Paver Block.